Narinder Singh Khalsa’s father, Avtar Singh Khalsa, was killed in an ISIL-claimed attack in Afghanistan’s eastern city in July. Now, the 38-year-old Sikh Afghan is continuing his father’s legacy and contesting in parliamentary elections on October 20. Avtar was a long-time leader of the tiny Sikh community, comprising fewer than 300 families in Afghanistan, and the only Sikh candidate in the upcoming polls. After he died, along with 19 members of his community in a suicide bombing in Jalalabad, the Sikh community called on Narinder to run from Kabul. Education, land rights and security for his community top Narinder’s agenda. “I want to stand up for the rights of my people, I want to get their rights from the government and from the international community, because we have suffered for years,” Narinder told Al Jazeera. Across Kabul, candidates’ posters carry messages pledging to improve security, root out corruption and reform education. More than 2,500 candidates are running in the third parliamentary election since the fall of the Taliban in 2001, including 418 women. They are competing for the 249 seats in the Wolesi Jirga, Afghanistan’s lower house of parliament. But the candidates face continuous risks, with the Taliban promising disrupt the “bogus elections”. “People who are trying to help in holding this process successfully by providing security should be targeted and no stone should be left unturned for the prevention and failure [of the election],” Taliban spokesman Zabihullah Mujahid said in the statement last week. 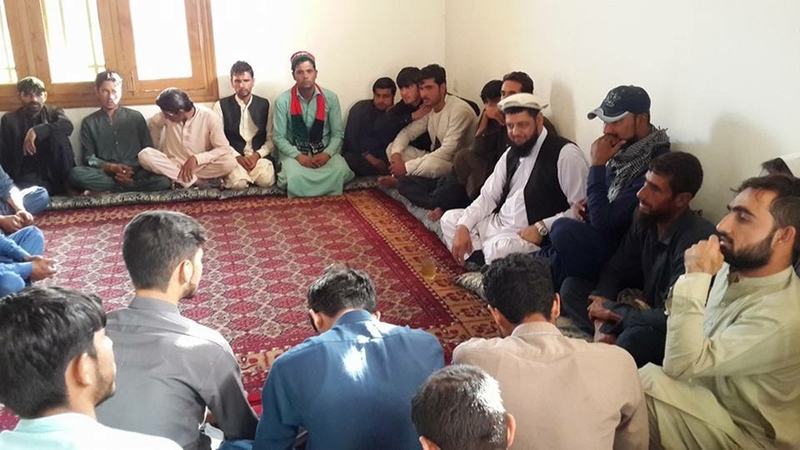 The Independent Election Commission (IEC) said in a statement on Wednesday that at least 10 candidates have been killed since July. Abdul Jabar Qahraman was killed in his office on Wednesday by a bomb planted under his chair, in the southern Helmand province. The Taliban claimed responsibility for the attack. The group has repeatedly warned politicians to withdraw from the ballot, but Kabul’s independent candidate, Engineer Zakia Wardak, says she has “seen it all” when it comes to violence in the country and will not step down. “My father, General Abdul Ali Wardak, was killed during the communist regime in 1978 in Afghanistan,” she said, referring to the years when the Afghan communist party launched a coup against President Mohammed Daoud, killed him and gripped power until 1992. 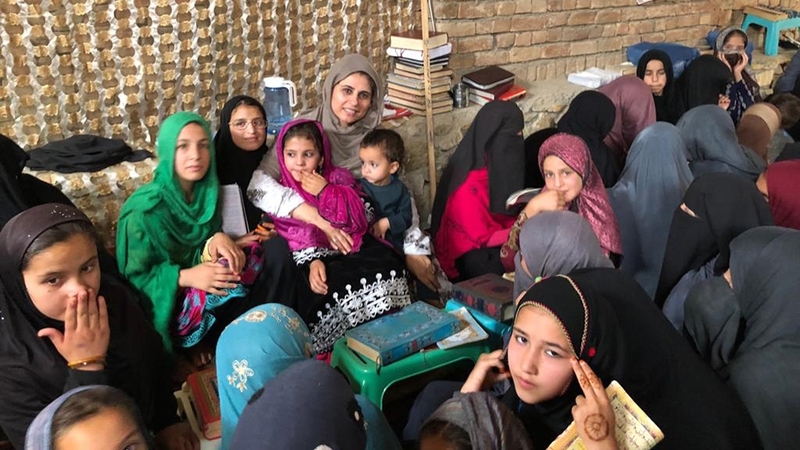 Wardak, who has also lost her husband in an accident in Kabul in 2011, encourages young girls to pursue education and “face difficulties in life with bravery”. Zakia, who is head of the Women Engineers Association in Kabul, wants to “open doors of the parliament to Afghans in need”. As she campaigns, she reminds Afghans of their right to vote and the impact they can have. I am not willing to vote because due to security and corruption, the election, just like before, won’t be transparent. When a parliament member is selected, they don’t do anything for us. In spite of the candidates’ enthusiasm, Afghans have little faith in the political process. The polls were originally set to be held in early 2015 following presidential elections in 2014, but were delayed to July 7, 2018 and were then pushed to October 20 due to security fears and reforms in voter registration. “I am not willing to vote because due to security and corruption, the election, just like before, won’t be transparent,” Zmaria, 50, a taxi driver in Kabul, told Al Jazeera. “When a parliament member is selected, they don’t do anything for us and only work on developing their own lives and businesses. According to local media, turnout is expected to be lower than the 8.9 million registered to vote. An MP helps with making laws and overseeing the government. They receive a monthly salary of between $2,400 and $2,600. They also get immunity from prosecution and imprisonment. Abdul Rahman Shams, a 54-year-old candidate from Nangarhar, said Afghans have “suffered and sacrificed so much for decades” and deserve sincerity from politicians. Sham’s cousin, Abdul Zahir Haqqani, the director of religious affairs and Hajj pilgrimage department, was targeted and killed when a suicide bomber walked up to his car and detonated his explosives in March in Jalalabad, Nangarhar’s capital. Haqqani was a vocal critic of the Taliban and ISIL. “Being a politician is not easy in a country like Afghanistan. I have seen so much in the past decades; children left orphans, women widowed and so much more, but I can’t hide from my responsibilities, I will fulfill my promises and try to help,” he said. Voting will be held at 27,000 polling stations in 33 of 34 provinces. The IEC has delayed elections in eastern Ghazni province because of security fears. At least 2,000 polling stations threatened directly by the Taliban will remain closed. The fighters said in their statement that teachers should prevent their schools from being used as polling stations, warning of attacks. Local media reported some 50,000 soldiers will be deployed across Afghanistan to provide security. The parliamentary elections viewed as a dry run for the presidential vote, expected to be held in April. “War has negative effect on a society, it affects the economy and kills positivity,” said Zakia Wardak, the female candidate in Kabul. Next articleIs ICE releasing migrant families to fire up support for Trump’s base?